Battle the Demogorgon and travel to the Upside Down! Your favorite character from the Netflix series Stranger Things has been stylized as a Pop! Vinyl Figure. 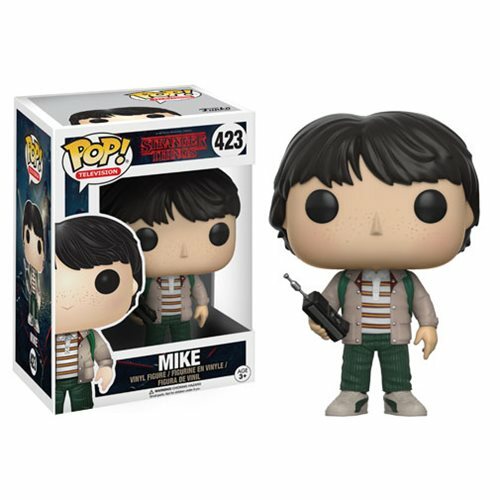 Measuring approximately 3 3/4-inches tall, the Stranger Things Mike with Walkie Talkie Pop! Vinyl Figure comes packaged in a window display box. Ages 3 and up.